Jeff & Will quickly recap last week, including Jeff’s finished first draft and what he’s working on next. Sara York is this week’s guest and she talks about her most recent release, Holiday Emergencies (part of the Love’s First Response series), as well as the other projects she’s working on for 2016. Other topics include the trademarks of a Sara York book, what her writing process is, how she decides to take one of her books to audio, and why she’s doing burpees at home. Sara answers last week’s question about 2016 reading goals and asks this week’s: “Is there a series from your favorite author that you’d like to see continue?” Jeff & Will wrap up the episode by answering that question. Remember, you can listen and subscribe to the podcast anytime on iTunes, Stitcher, PlayerFM, YouTube and audio file download. While listeners can leave comments on the website each week, answers come in from various other platforms as well (and we can only read a few answers on the show). Here are all the responses we got to the question “Do you set reading goals? And, if so, what are your reading goals for 2016?” Thanks to everyone who took the time to answer. Scott: I’ve used the Goodreads Reading Challenge for the past couple years and set to read 52 books, one a week. I’ve outdid myself with a dozen over that each year. I would love more Goodreads friends! Gillian: I set myself a goal of 70 books last year because, like Jeff, I wanted to get into a regular reading habit. I achieved that, so I decided to up my goal to 90 this year. I don’t have any specific book goals in mind, but my secondary goal is reading the books that I have already bought instead of acquiring new ones. Mandy: I’ve set mine at 100 for this year. It’s been my first challenge on goodreads. Still find it hard to navigate. Although I have most of mine on audio as I don’t get a lot of time to read, I hope that still counts. Tracey: I can, on average read a book a day, so lets say 300 just to be on the safe side in case I get busy…. Tammi: 150 this year. Last year it was 100 & reached my goal by the August (I think). Kathleen: Same as last year…200. Paul: About two books a month. I read in the AM for about an hour. Here’s hoping. Christina: Last year my reading goal was to try a new genre. So I delved into MM. Best reading move ever! This year I want to add more sci-fantasy into my life. More ADULT sci-fantasy. Straight, gay, don’t care. Cat: This is my first year doing the challenge. I’m set up at just 300 since I can easily read one to two full length books in a day, but this will let me spend time with the family, as well. As of now I’ve completed 14 and just started 15. Elvis: I’ve never set reading goals before. This year will be the first, thanks to the podcast. Last year I only read five books, which is just sad. This year I want to read more, especially books in the genres I’m writing in, mainly mm romance and science fiction. I’ll try to sneak in a biography and a couple books about writing too. If I can hit 15 that would be great. Anything more than that would be awesome. Nancy: I had to go to Goodreads and see what I’d read in 2015. Turns out I read 129 books. Goodreads also includes audiobooks so the number makes some sense. I really don’t set reading goals because I read and listen to audiobooks all the time. I’m not big on setting goals at the beginning of the year, but I always like to find new to me authors and read their books. 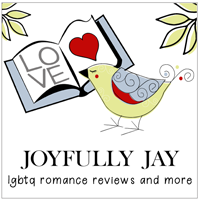 Big Gay Fiction Podcast – Episode 15 – Book Reviews – Kindle Alexander Success & More! I’d love for Abi Roux’s Cut and Run series to continue – love Ty & Zane. Not sure if she’s planning on continuing the Sidewinder series which is set in the same universe and does have some character overlap.